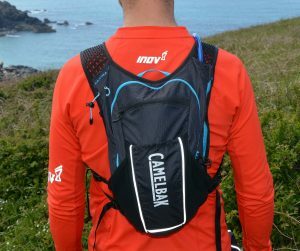 This year CamelBak has fully updated its range of running vest and hydration products. 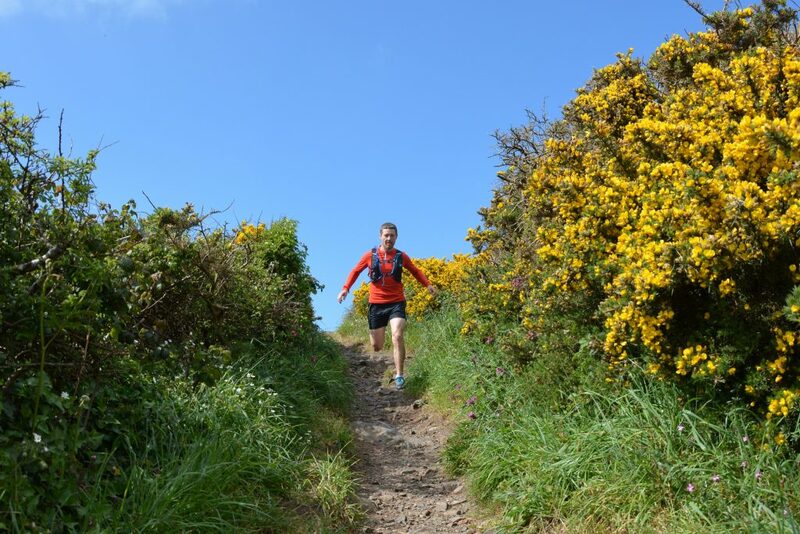 We’ve been testing the all-new Ultra 10 Vest and it’s right up there with the very best – read on for our review. 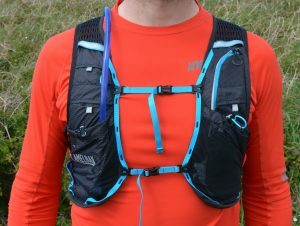 The Ultra 10 Vest is a good looking pack in either black with blue detail or a brighter lime green and silver. It feels light and has plenty of pockets for gear organisation as well as a top quality water bladder. The new design is firmly aimed at runners, with CamelBak working closely with its athletes to get the fit and spec spot on. The Ultra 10 Vest has 8 litres of gear storage and 2 litres for hydration. It has a large rear compartment with a sleeve for the 2-litre reservoir (included) and a good selection of front pockets for easy access on the run. The pack is designed to carry everything you need for the Ultra Trail du Mont Blanc and allows you to run comfortably for several hours. The single unisex size is adjustable to fit most runners and allows for comfortable carrying whether it’s full or almost empty. It’s also super-light for a 10-litre bag making it a great choice if you’re after one pack that will do everything. The brand new 2-litre Crux reservoir which is included in the package is great quality and extremely durable; the bag will also carry two 500ml soft flasks if you prefer, or you have the capacity to carry 3 litres of liquid if you need to. 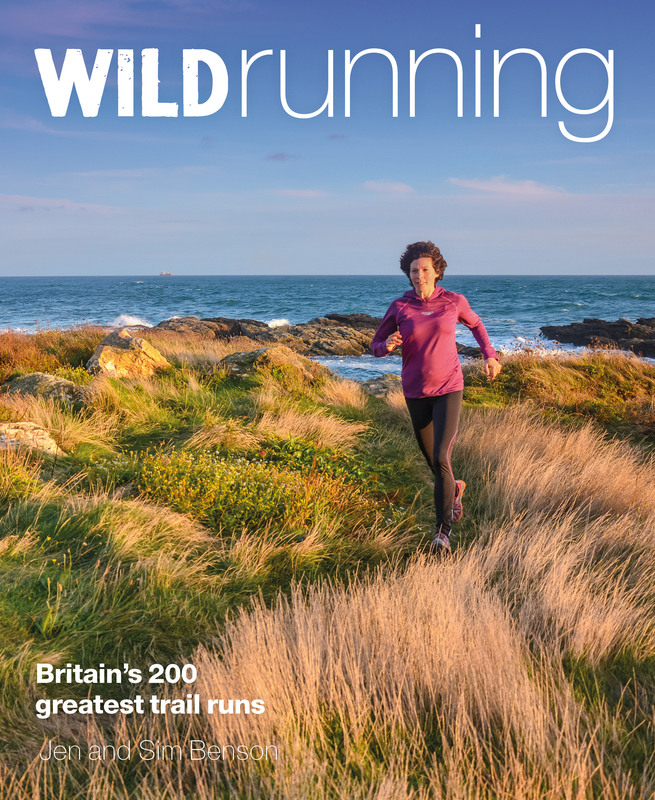 We tested the old version of the Ultra 10 for Trail Running mag last year; we thought it was good, very durable, well designed and well featured but it was heavy and a bit stiff. The new version addresses all of our concerns and would have been a strong contender for best in test. The Ultra 10 Vest is built on a 3D ventilated mesh harness cut as a one-piece back panel, hip fins and wide shoulder straps. The mesh has an open structure which holds its shape well under load. It’s padded and comfortable but also ventilated – essential for reducing sweat and therefore chafing. The main bag is a light nylon fabric sewn onto the mesh. The hydration system fits between the mesh back panel with a separate a side zip. The main compartment is accessed by a double zip; it has three internal pockets, two are zipped. Externally there’s a small zipped pocket, a large central stash pocket and two elasticated wand pockets. There are also attachment points for running poles and a hanging loop. The storage on the front of the pack includes a zipped pocket large enough for a smart phone, two large stash pockets with elasticated closure designed to fit 500ml soft flasks and four small pockets for gels, compass etc. There is a small emergency whistle attached to the front of the vest which is a great addition from a safety point of view and to pass kit requirements at a race. The bag has plenty of reflective detail on both the front and back helping keep you visible from any direction. The Ultra 10 Vest is only available in one size but does have lots of adjustment. There are two compression straps on each side which adjust the shoulder straps allowing for different body shapes and sizes and also compressing the bag if it isn’t full. At the front the bag is supported by two chest straps both with micro buckles. The chest straps can be attached at several heights to suit the wearer. In use we found that the fit is very good when full or empty, carrying comfortably and well with minimal bounce. Hands-free hydration is where CamelBak startedand the new Crux reservoir is the culmination of over 25 years of design. It’s the best quality out there, although not the lightest. The bladder is £35 when bought separately so if you need one as well as the bag then it does make it better value. The new design has a wider entrance which is quicker to open and close and makes cleaning easier. It also incorporates a handle that makes refilling much easier, saving time in a race. The tube and bite valve have also been redesigned to increase flow rate by about 20% – it does this by increasing the diameter of the tube and reducing the angle of the mouth piece. In use this works really well and the valve closure system means it doesn’t leak. The Ultra 10 Vest will also take two of CamelBak’s new 500ml soft flasks – these don’t come with the vest but can be bought separately. They aren’t the lightest but they are the most durable we’ve tested and have an excellent closeable valve so they don’t leak. All CamelBak bladders, soft flasks and bottles are BPA/BPS/BPF free. The bladders and soft flasks are made of multi-layered polyurethane with an anti-microbial lining. They are super durable and you can watch the amazing testing process here. Back in 1989 Michael Eidson was competing in the “Hotter’ N Hell” mountain bike race, he was an emergency medical technician and decided to carry an IV bag filled with water so that he could drink through a tube on the move – the CamelBak was born! 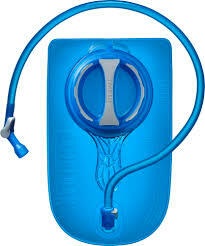 Over the years CamelBak has led the way in hands-free hydration systems specific to cycling and more recently running. CamelBak products are all very durable and come with the “Got your Bak” lifetime guarantee; although after many years of using their products we’ve never had any problems so we’ve never tested this. Unsurprisingly CamelBak also champions the use of re-usable water containers with the “Ditch Disposable” campaign; it sponsors several races by supplying convenient refill stations rather than single use cups or bottles. It’s also nice to see lots of information on the CamelBak website about social responsibility and a transparent supply chain. So, with a combination of durable, well-made products backed up with a solid warranty, a campaign to reduce single use plastic and a strong social responsibility stance, we’re very happy using the products. The Ultra 10 Vest is a great pack that’s versatile enough for a range of distances. 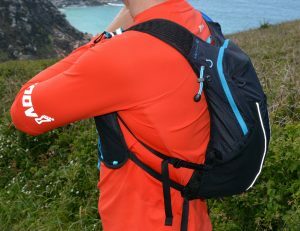 It’s lightweight and carries kit well, even when full and the thoughtful, run-specific design works brilliantly in use.